Well, we had a visitor in Maxi Warrington of a young man called Finlay Woodcock Daniels, 12 years old from Chester and he’s already a fanatic about the haulage business. He politely asked if there was any chance of having a look around the Warrington Depot. 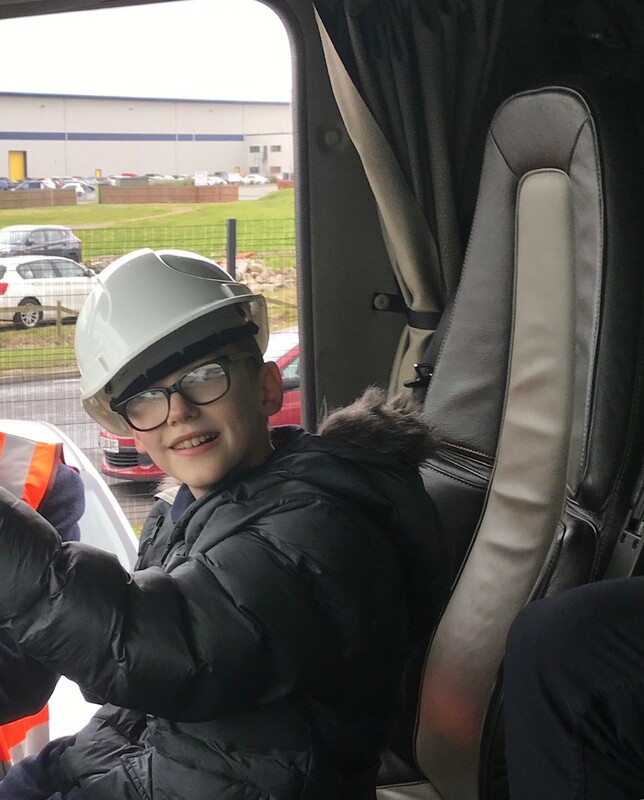 Luckily enough, Graeme (Driver Training Manager) was in the Warrington Depot and had a few minutes spare, they all decided to give Finlay a day he wouldn’t forget. Graeme was able to bring around one of the newer units made by Volvo for Finlay to sit in – he was shown how to turn the unit on, the lights, and a few other gadgets that they have within the units. To test how well he knew the rules of the road and being a driver, Graeme asked quite a few questions and he answered them all thoroughly – we were definitely impressed with his knowledge of HGVS. Finlay mentioned that he found MAXI through one of this favourite YouTube influencers called Trucker Jay in the UK. We were able to sort a phone call with Trucker Jay which added more to the experience of being at Maxi Haulage. 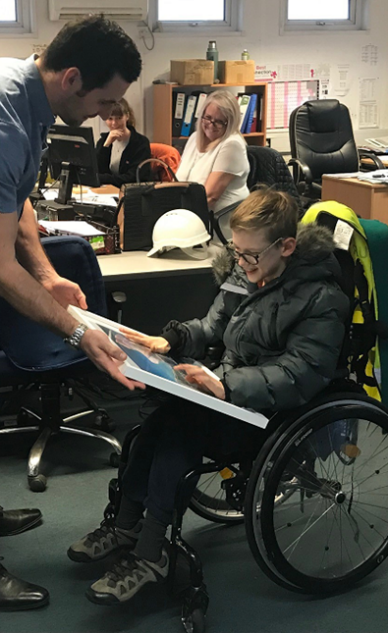 Seeing someone so young knowing what they want to do is such a lovely thing, we were able to present him with a framed picture of one of our units so that he can remember the day that he had with Maxi Haulage.